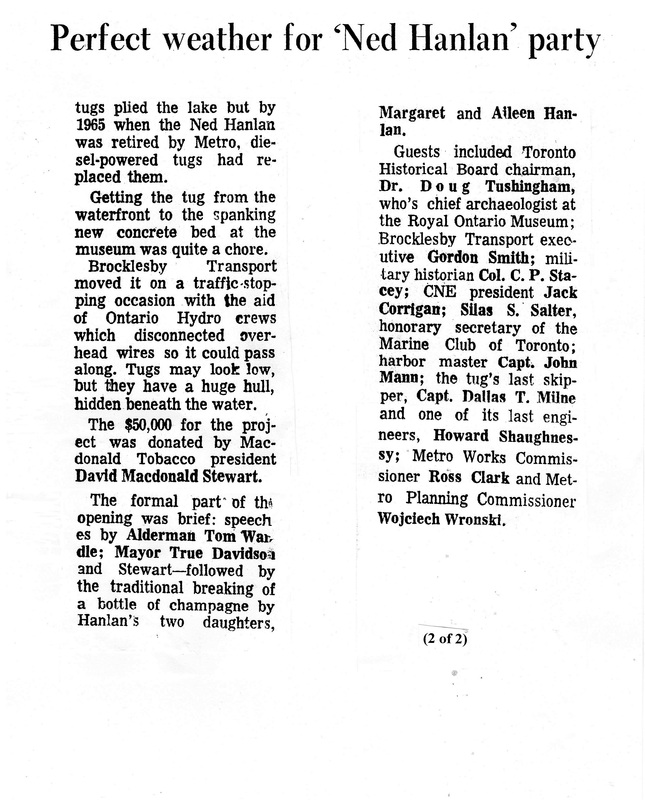 Reply to the article on the tug Ned Hanlan. 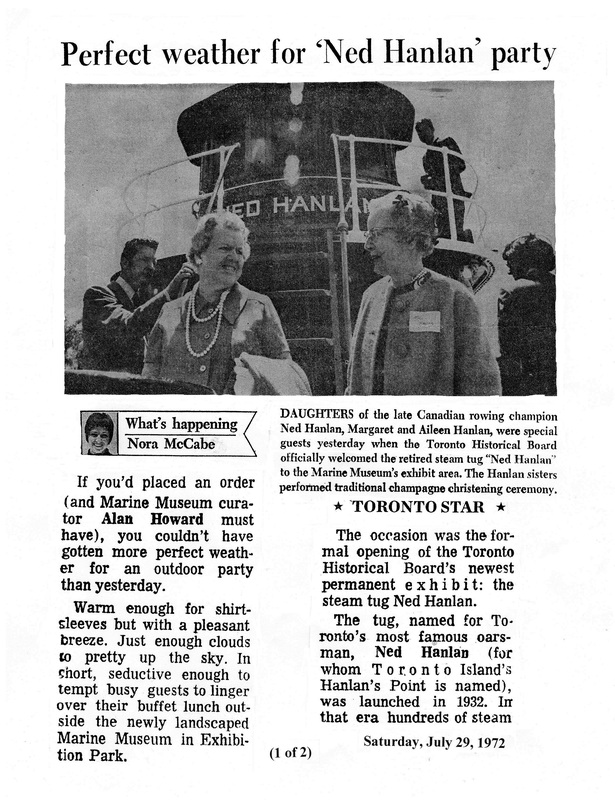 All good stuff but, there were Hanlans on Hanlan’s Point long before Ned rowed to fame… Don Cale, formerly of 608 Lakeshore Ave., Hanlan’s Point. Check with Jimmy Jones on Ward’s Island, who is the resident historian.